Classic experience at an ideal location in Chennai. Hotel Jeya's Residency Elite is a fine and cozy place to stay. With various basic amenities and lively neighborhood, guests are sure to enjoy a delightful stay. 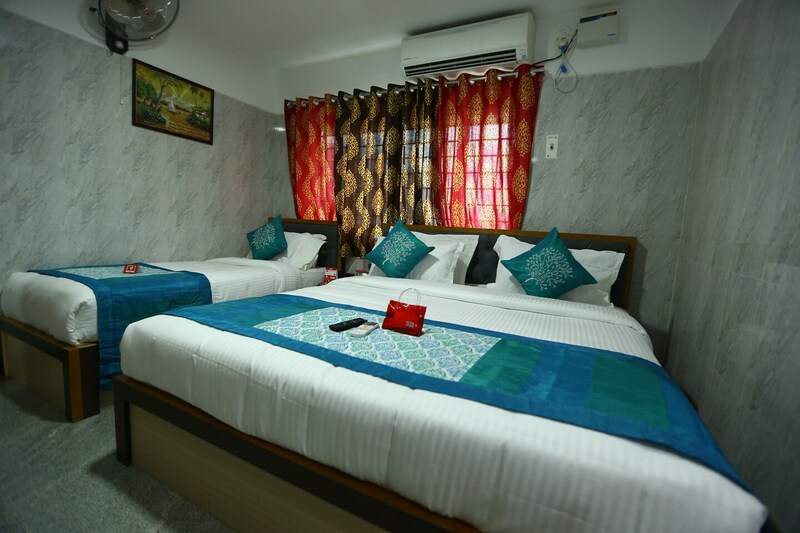 The hotel is near to Koyambedu Metro and Railway Station, making it convenient for outstation travelers. The uniquely designed rooms are simple with modern furnishing and tiled up wall finishing makes your stay homely. The guest can avail the facilities like power backup and an elevator. Key tourist spots of Chennai like The Forum Vijaya Mall, Sri Santhana Srinivasa Perumal Temple, and Vadapalani Murugan Temple. Near to the hotel are for your touristy mood.